Due to the huge influx of people moving to Houston, our city has become a permanent construction site. While this is a complete inconvenience for drivers, it is a blessing for scrap metal recyclers! 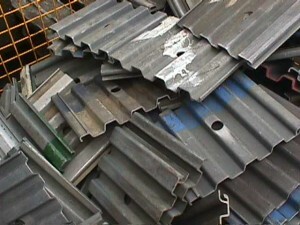 Construction and demolition sites are filled with scrap metal, particularly scrap steel. One of the best ways to access scrap steel if you are not related to any construction or demolition services is to simply offer to pick up scrap for them. Most businesses will be happy to have someone take scrap off of their hands anyway. Scrap yards and old appliances are also filled with steel and are a good resource for recycling! Once you’ve got the steel, you need to choose the recycling service. This can be kind of tough because each recycling facility operates in its own, unique way. If you don’t have a truck to transport the scrap, you will want to contact a recycling facility that offers a pick-up service. Although many facilities charge extra for the service, there are some, like Gulf Coast Scrap Metal, that will pick up your scrap for free. You also want to make sure you go to a reliable recycling facility. The amount you are compensated for your steel depends on the type of steel it is, the market value, and the amount (weight) of scrap you bring in. A facility that does not show you the weight of the scrap you brought it or that does not match market value may very well cheat you out of money. The best part of the process is the moment you get cold, hard cash for you scrap. There’s nothing nicer than easy money! For prompt service and immediate payment, call Gulf Coast Scrap Metal. We provide the best steel recycling experience in Houston! This entry was posted in Stainless Recycling on October 11, 2013 by admin. Choose Knowledge: Choose Gulf Coast Scrap Metal!